Where does Eldorado Natural Spring Water come from? The artesian springs located in Eldorado Canyon emanate from one of the most unique sources in the world. This spring water originates as rain and snow just east of the Continental Divide. From there, it enters an aquifer that passes underneath Eldorado Springs. An immense artesian pressure forces the water through a layer of sandstone up to the surface in Eldorado Springs, creating a natural filtering system. Protecting the source from all other ground waters is a 500-foot thick layer of clay just above the sandstone that is impervious to ground water. Eldorado Springs is surrounded by hundreds of acres of local, state, and federal park land. All these factors contribute to water renowned as one of the purest natural springs in the world and judged to be the best-tasting water in North America. Learn more about our water source. Is Eldorado Natural Spring Water chemically treated in any way? 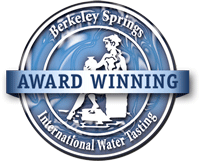 Eldorado Natural Spring Water is a pure, clean, and healthy spring water that is low in Total Dissolved Solids (see the Eldorado Natural Spring Water analysis). Our water is not chemically treated in any way and the location and unique geological environment of our source ensures consistently pure water. What are the different types of filtration systems? Distillation: Distilled water essentially has had all the dissolved matter within it removed by first evaporating the water then condensing it back to liquid form. The result is an extremely pure water with no real contaminants. But about 99 percent of all dissolved matter in water is composed of minerals. Hence, distilled water is basically mineral free. Distillation is also costly, energy intensive and slow. Additionally, since the water has lost its own minerals, it can leach minerals from the body. Reverse osmosis (RO): RO operates on water pressure, requiring at least 40 pounds per square inch (psi). The water pressure forces water molecules through a filter, or membrane, leaving both the mineral and pollution molecules behind. Like distillers, ROs make water very slowly. They also can use as much as eight gallons of untreated water to make one gallon of treated. Reverse osmosis will not remove quite as many contaminants as distilled water, but it is one of the purest filtration methods. Though this water, like distilled, can leach minerals from the body. Carbon filters: Carbon is especially effective for removing organic chemicals, chlorine, trihalomethanes (THMs) and radon - filtering out 80 percent to 99 percent of these contaminants. Carbon will not remove microorganisms or toxic minerals, however. In fact, one drawback of carbon is that it can be a breeding ground for bacteria if the filter is not changed often enough. Sediment filters: Sediment filters basically serve as a screen to remove dirt and other particles from water. Public water has the coarse particles removed, but not the finer ones. The filters range in screening capabilities from five to 20 microns. Membrane and ceramic filters: These two filters specifically remove bacteria and parasites, with ceramic being longer-lasting and sturdier than membrane. Redox filters: Redox is short for reduction oxidation, a chemical exchange process whereby toxic metals are converted to harmless zinc and copper compounds. The zinc-copper alloy in the filter also traps chlorine and greatly reduces bacteria in the water. Learn more about common water types. I'm ready to buy; how much water do I need? Estimate your water usage with our simple configurator. Where can I buy Eldorado Natural Spring Water? 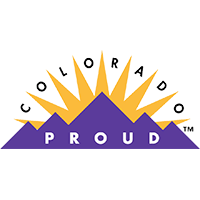 Eldorado Natural Spring Water is available in Colorado in King Soopers, City Markets, Safeway, Albertson's, Vitamin Cottage, Whole Foods, and other fine stores. Eldorado Natural Spring Water is distributed throughout the United States by the nations two largest natural foods distributors. Ask your favorite health food store to order Eldorado Natural Spring Water! Eldorado Springs offers you the convenience to pay your bill online with your credit card. 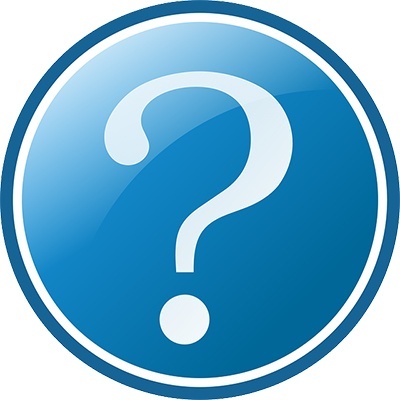 Go to our online payment page and enter your billing information. Click submit to confirm the payment. You will receive an email confirming the transaction if you provided us with your email address. Where can I find your company logos for marketing materials? If you are interested in using our logos please visit our Media page. When is your swimming pool open? The pool opens Memorial Day Weekend and stays open through Labor Day. The pool is open 7 days a week between 10:00 AM and 6:00 PM. How long can water be stored? If stored properly, water has a shelf life of two years. Water should be stored in a cool, dark, and dry place. It should be stored away from substances such as gasoline, chemicals, detergents and cleaning supplies. Water is so pure that it will pick up odors that cannot be detected in the air. Can I make a custom label for my bottled water? Yes, the basic cost for this service is only $75.00. The specifications for desigining your label are as follows. The label die cut size is 2.125" x 7.25"
What types of water pollutants are there? Microorganisms: These include harmful bacteria, viruses and parasites. Bacteria are easily detected and killed by chlorine. Viruses are much smaller than bacteria and although chlorine will kill some viruses, it will not kill all. Toxic minerals: Mildly toxic minerals such as aluminum, arsenic, asbestos, barium, chromium, fluoride, nitrate and silver, and deadly toxins such as cadmium, lead and mercury, may be found in tap water. These minerals are inorganic and naturally present in water, but increased quantities can exist from man-made sources of pollution. Organic chemicals: These are substances that come directly from plant or animal matter including fertilizers, pesticides, herbicides, paints, fuels, plastics, dyes and preservatives. According to recent research, new and dangerous chemicals have been created from chlorine combining with organic substances-forming what are called trihalomethanes (THMs). Radioactive substances: Radioactive minerals such as uranium and radioactive gases such as radon occur in water. Additives: All public water treatment facilities add chemicals to the water, mainly for purification. The most widely used disinfectant is chlorine, sometimes combined with ammonia. Fluoride-a compound of fluorine, which is irritating and a toxic gas-is also commonly added. Other additives are flocculants, substances added to make pollutants clump together for more efficient removal by filtering. The EPA classifies some flocculants as "probable human carcinogens," but still allows their use. *Source: The Drinking Water Book by Colin Ingram. Want to know more? Check out our Eldorado Springs Water Analysis. The bottled water industry is regulated by both the federal and state government. 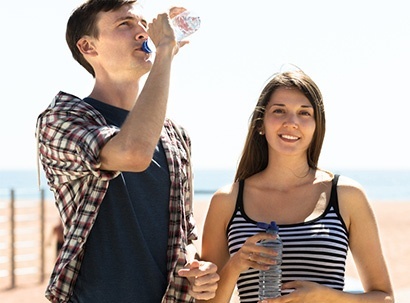 The U.S. Food and Drug Administration (FDA) regulations coupled with state standards offer consumers assurance that the bottled water they drink is clean, safe, stringently tested, and of the highest quality. Check out our water analysis for a full chemical breakdown. The U.S. Food and Drug Administration (FDA) uses the following definitions: Artesian Water or Artesian Well Water: "Water from a well tapping a confined aquifer in which the water level stands at some height above the top of the aquifer. Artesian water may be collected with assistance of external force to enhance the natural underground pressure." Ground Water: "Water from a subsurface saturated zone that is under a pressure equal to or greater than atmospheric pressure." Mineral Water: "Water containing not less than 250 parts per million of total dissolved solids, coming from a source tapped at one or more bore holes or springs, originating from a geologically physically protected underground water source." Purified or Demineralized Water: "Water that has been produced by distillation, de-ionization, reverse osmosis, or other suitable processes." Sparkling Water: "Water that, after treatment and possible replacement of carbon dioxide, contains the same amount of carbon dioxide that it had at emergence from the source." Spring Water: "Water derived from an underground formation from which water flows naturally to the surface of the earth. Spring water can be collected only at the spring or through a bore hole tapping the underground formation feeding the spring." Well Water: "Water from a hole bored, drilled, or otherwise constructed in the ground which taps the water of an aquifer." Check out our blog post titled, "Know How it Flows: A Brief Explanation of The Different Water Types" for a quick run down of your water options. Please see our blog on this subject. Get the inside scoop on Eldorado Natural Spring Water. Explore our many products and see what else we offer!